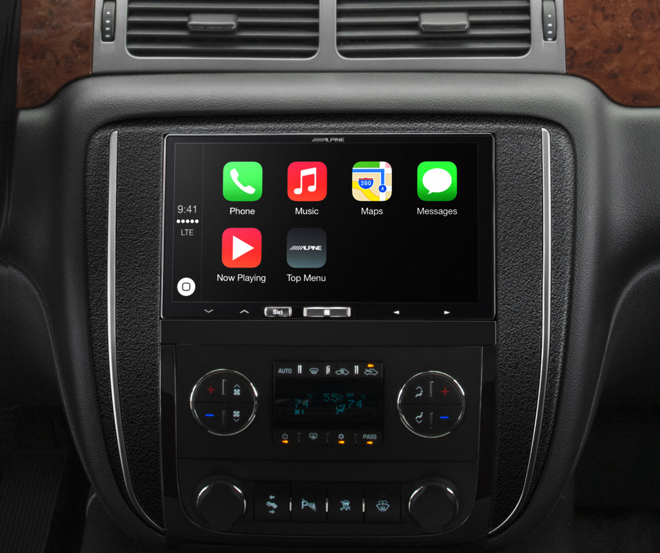 Japanese aftermarket manufacturer Alpine confirmed on Tuesday that it will be the second car audio maker to bring Apple's CarPlay to aftermarket receivers with products set to launch in the U.S. and Europe later this year. "For more than a decade, we have worked with Apple to produce products that integrate their technology into our car entertainment and information products," said Alpine Senior Director and CTO Hirofumi Morioka. "Our new CarPlay-enabled products represent the next step in providing users a seamless iPhone experience in the vehicle." According to Alpine, units featuring CarPlay integration will bow at the end of 2014, though there was no word on pricing. The company was also mum on whether existing Alpine models would gain the functionality via a firmware update or if new hardware would be required. Word of Alpine's move first appeared on Monday with a report in Japanese media that placed their cost at $500 to $700. Alpine is the second aftermarket company to officially announce CarPlay products after competitor Pioneer unveiled CarPlay-enabled head units of its own earlier Tuesday. Pioneer's offerings will start at $700 when they go on sale this summer.